Note the hex code in the lower middle. These colors aren't very flexible, but they can come in handy in a pinch. They're easier to remember than hex codes, and there are a ton of them. Unlike hex codes, these values allow for transparency (alpha), which can be super useful. Learn more about RGBa or HSLa. See the Pen background-color by CSS-Tricks (@css-tricks) on CodePen. 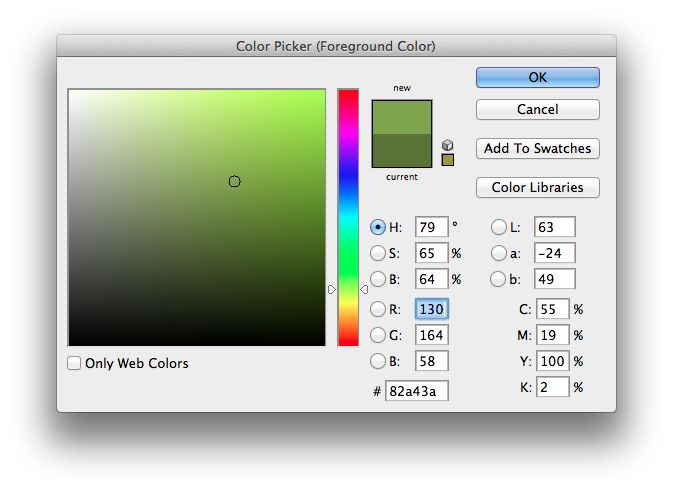 Hex codes and most color names work everywhere. RGBa and HSLa have their own sets of browser support: RGBa and HSLa. Is there no way to shorten the length of the background color? When making a website, I like using the CSS background color property. However, when using short 3-4 letter words, the background color is the length of the whole page. I sometimes just want to have a small block of color! Please help! Thank you. In rgba() format, is it possible to specify just the alpha value alone? I need to over-write the alpha value alone on hover. You can overwrite the alpha value on :hover by writing out the CSS property again with the same color and new alpha value. What is the best value define for “Alfa” in rgba(). Because I always use this Alfa coordinate as decimal(0.1 – 0.9), as transparency declare in rgba(). I know it also have value from “1-255”. But if we want to define a color as simple rgb() is always equal to rgba() if we declare “Alfa” from “1-255”, Please tell me . I like using hex, how can i put gradient in rgb?